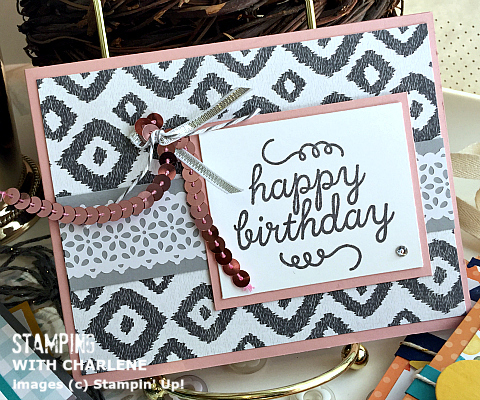 Here is a look at another card style that is included in the Birthday Bash Box that is currently shipping. To see the first two cards in this collection, click HERE. Now is the best time to subscribe to our greeting card boxes. Start the New Year off right by resolving to mail cards to your favorite people. Yesterday, I was so excited to find three cards in the mail that were hand-addressed to me. It was such a thrill! There is just something about the idea that someone took the time to write a note inside of a card and stick the card in the mail that makes me smile. Unfortunately, there is going to be an entire generation that won’t experience the thrill of opening a mailbox and seeing a card addressed by hand just for them. Let’s change that! eWillow.com can help. We want to help, and we have made it easy for you to mail cards. Subscribe to one of our plans so that you’ll always have a card on-hand when you need one! Each box includes two each of five different designs for a total of ten cards. 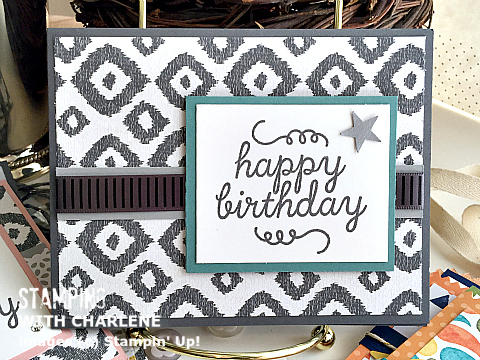 However, in the Birthday Bash collection, I created two similar styles of this “Happy Birthday” card; one for a man and one for a woman. Isn’t the pink sequins embellishment so cute? It looks even better in person. Promise!